OTMS will host the second annual EdTech Chef Challenge when we return on January 4. The purpose of this collaborative activity is providing you with time to explore ways to transform interdisciplinary teaching and learning (completing tasks or projects you could not do without 1:1 technology). The goal of the activity is to generate ideas for a lesson that can be used in the near future in your classroom with your students. Remember that you are not producing a complete lesson plan script, but a general plan including the why and how you will use your technology ingredients. The main focus of the competition rubric addresses WHY technology is used. Why is it used to transform? Why is it used to differentiate? 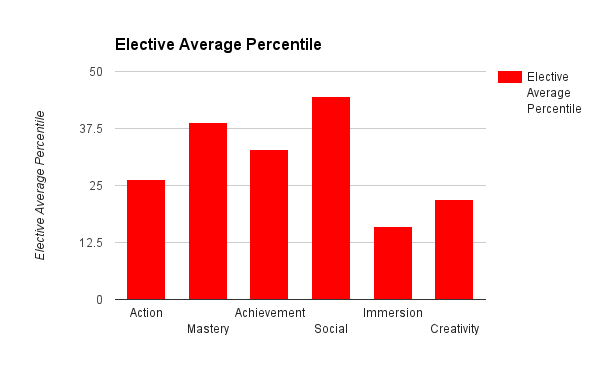 Why is it used in the formative assessment cycle? Does this technology use truly enhance the lesson or simply replace another tool or process–or worse yet, hinder learning through unnecessary use? As you participate in the event, don’t get bogged down in all the details (the “how”) of making the technology work perfectly or figuring out every step necessary to setting up a successful assignment–there won’t be time for that. Begin with your content standards and ISTE Student Standard, then get an idea of what the tech tools can do, and then ask the question “How can we meet our content and ISTE standards along with the requirements of the competition rubric using these technology tools?” Utilize the strengths of your team and create a truly collaborate result that can be shared with the entire faculty. Be creative and have fun, but remember that your lesson or activity should be usable in an OTMS classroom. (The rubric for the presentations will be the same as last year.) We hope that the preparation and presentation portions of this competition will be valuable learning experiences, helping us reflect on why and how we currently use technology within instruction, and where our next steps in the process of transformation lie. 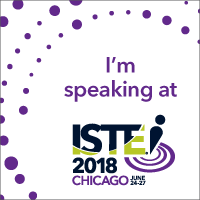 Each team will be given instructions containing your team assignment, content standard, ISTE Student Standard, and your tech tools. Celebrity Judges from central office will evaluate each presentation (based on the same presentation rubric) using a separate Google Form. 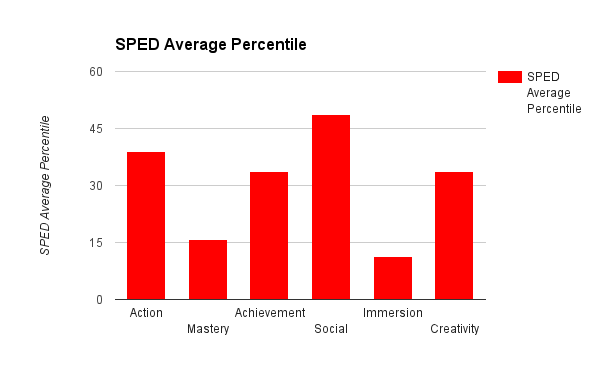 I will conclude by sharing the Gamer Type results for the elective and SPED teams (the scales on the left are different again). If you have questions, contact Mel or me this week–or ask a teammate who participated in the EdTech Chef Challenge last year. We hope this will be a great start to the second semester. Enjoy your break with family and friends.